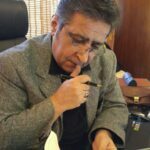 Mahmoud Askarieh is a veteran journalist who started his career in the 1970s. He is a senior political analyst and the editor-in-chief and president of the Iran Front Page (IFP) news website. Iranian Foreign Minister Mohammad Javad Zarif resigned on Monday night apparently in reaction to differences with President Hassan Rouhani, including his exclusion from the president’s meeting with Syria’s Bashar al-Assad in Tehran; however, that’s just the tip of the iceberg. The administration of President Hassan Rouhani, particularly his foreign ministry, is under fire for taking a passive stance on the murder of Saudi dissident journalist Jamal Khashoggi. Who Scared Off Lebanon’s PM: Nasrallah or Bin Salman? A remarkable point made by Lebanese PM Hariri on Saturday was his fear of being assassinated like his father. But the mystery is, who has scared off Hariri: Hassan Nasrallah or Bin Salman?! Iran does not need nukes, not now, not ever! Recent remarks by the Israeli defense minister on the likelihood of nuking Iran are part of efforts to provoke the Iranian nation and pit them against their government, reads an IFP editorial. Change in tactic or strategy? It is wishful thinking to assume that diplomacy can achieve what used to be achieved through war machine; real change is needed. What the US Congress can do to help the cause of global security rather than hosting the Netanyahu theatrics. An analytical look at the root causes of terrorist attacks in France and their aftermath. These serpents are not sterile! The vicious circle of terrorism will persist in the Middle East unless determination and courage are employed to wipe out the deep-rooted problem.